Will the real you, please stand up? Do you know who this person is? Have you discovered your true self? 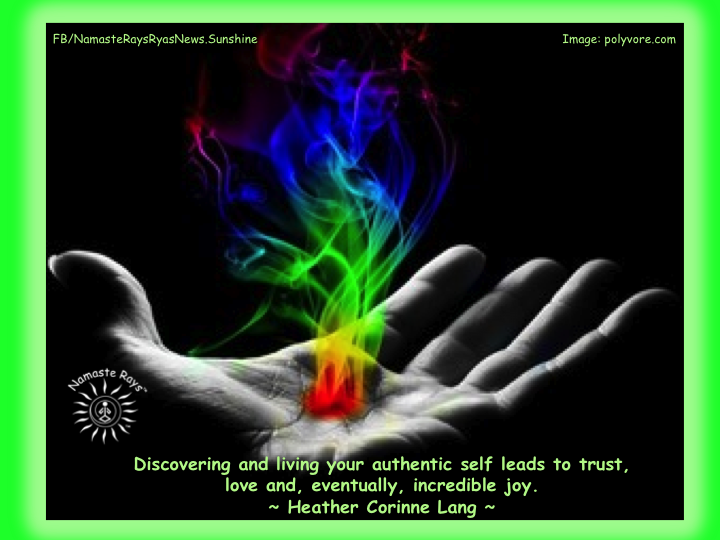 Discovering and living your authentic self leads to trust, love and, eventually, incredible joy. Be the best person you can be, as you are the only one who can do it. When you reveal to others your authentic self, they can sense it. They can sense the truth in you. Because you trust your truth, they believe you and cultivate faith & trust in you. Your own inner discovery will lead you to inner depths of your authentic soul, which can be messy. This can and will bring up old issues we haven’t dealt with fully. But we must deal with our own messes – emotional, mental, spiritual and physical ones – to uncover the truth behind it. Once the truth is revealed to you…you can rise above it, heal it and realize the new truth. This new truth you now know cultivates inner trust. You now fully accept and trust in your beliefs, thoughts, opinions, actions and more, for as the old is removed, the new stems from your authentic self. When you trust yourself, you exhibit self-confidence. Self-confidence is very attractive to others as it allows them to see the truth in your words & actions. Then you are self-confident, you love yourself more. This self-love expresses itself through the respect you have for yourself. The people around you notice this respect, thus the change in you. The true ones will be trustworthy to you…and those who may not be, will drop out of your life. Those who drop out have not yet come to comprehend your change, as you are no longer living their expectations of you. This does not make them happy or comfortable as they haven’t dealt with their own inner issues. This wonderful change in you is for the betterment of your soul journey. You must live your life to your truth. It is not possible to continue living a life others expect you to live. When you live to other’s expectations, it leads to unhappiness. Changing your focus to your life’s path through discovering and being your authentic self leads to a wonderful inner light flaring, bringing you incredible joy. This true happiness emanates in all you do. Since we all want the kind of trust and love that brings us extraordinary joy, it makes sense to go to your depths and bring forth the light of your authentic self. May you discover and live your authentic life!